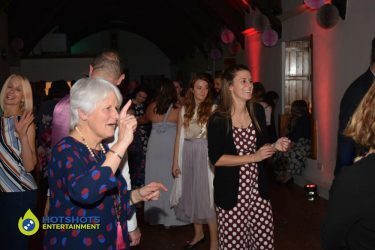 Congratulations to Mr & Mrs Hopes who got married on the 17th November 2018, they had their wedding breakfast and evening reception at the Old School Room in Chew Magna. 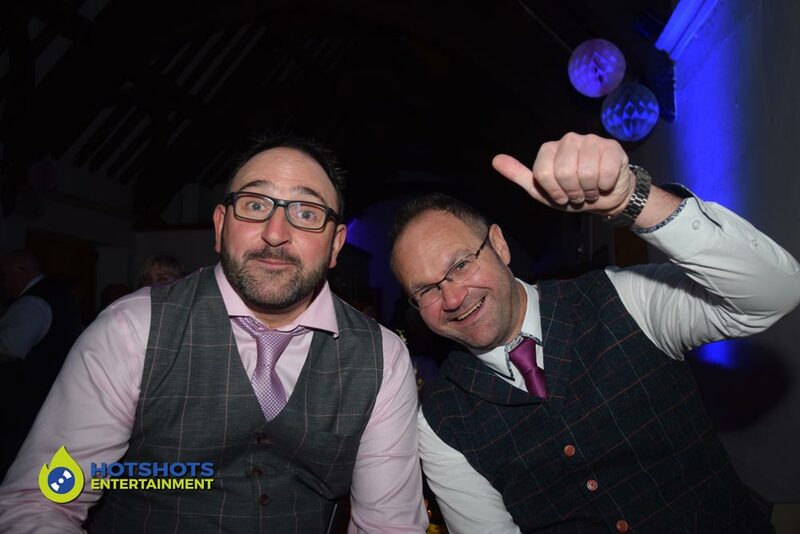 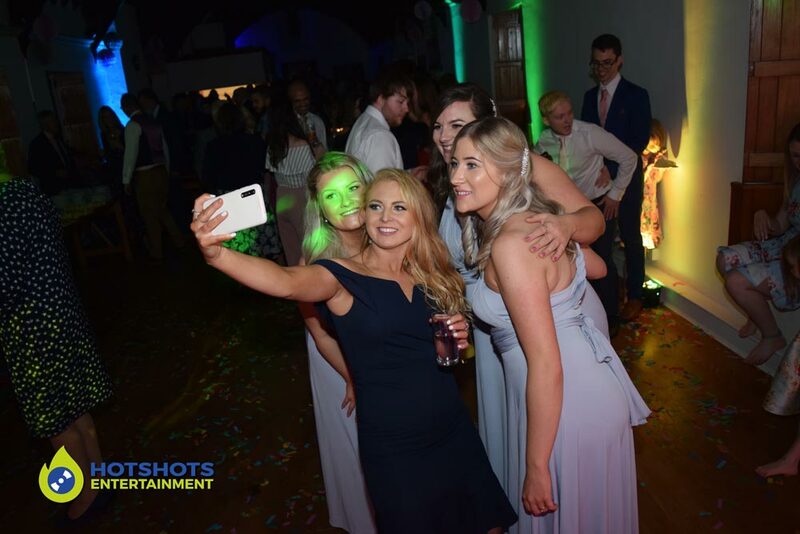 Hotshots Entertainment was booked in to provide a platinum wedding DJ service. It was our first time going to the venue and we found it very nice (apart from the stairs). Such a lovely venue and the staff booked in did a fantastic job. 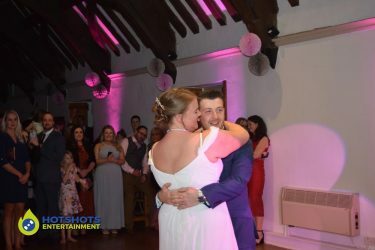 The happy couple cut the cake at the other end of the room at the start of the evening. 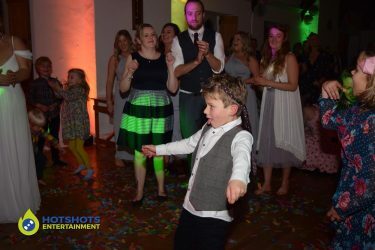 Then a few people hit the dance floor, mainly children with some adults. The first dance song was James Bay – If You Ever Want To Be In Love and it was a beautiful song for them. 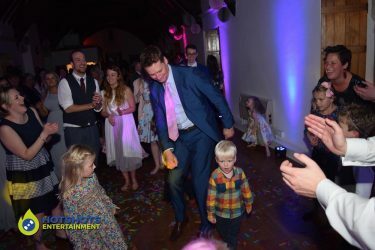 About half way through I let off a confetti canon which went down really well. The children loved playing with this after, throwing is back over the happy couple. There was plenty of dancing all night long with requests coming in to keep the night going. 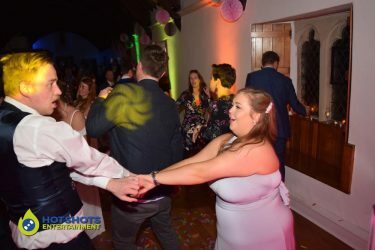 It was nice to see some old golf friends at the wedding Lee & Glen Jennings, it was also nice to see them on the dance floor having a good time. There was plenty of Flossing going with the children teaching the adults. 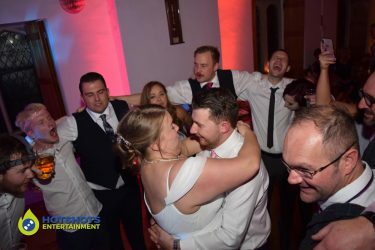 It looked like everyone had an amazing time. 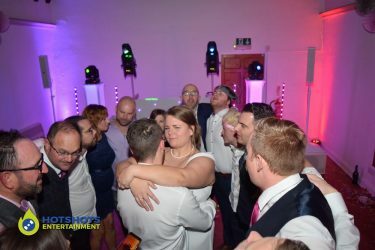 I did take some pictures and you can see some below, the rest can be found HERE please tag and share with family and friends. 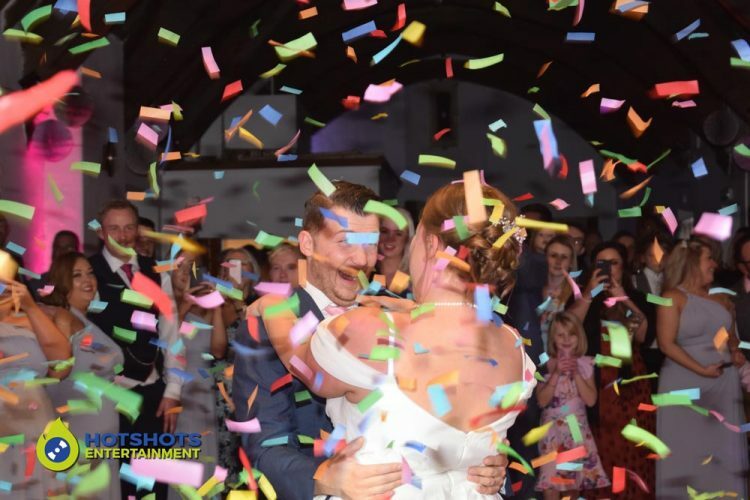 Thank you so much for booking with Hotshots Entertainment and we wish you both many years of happiness together.